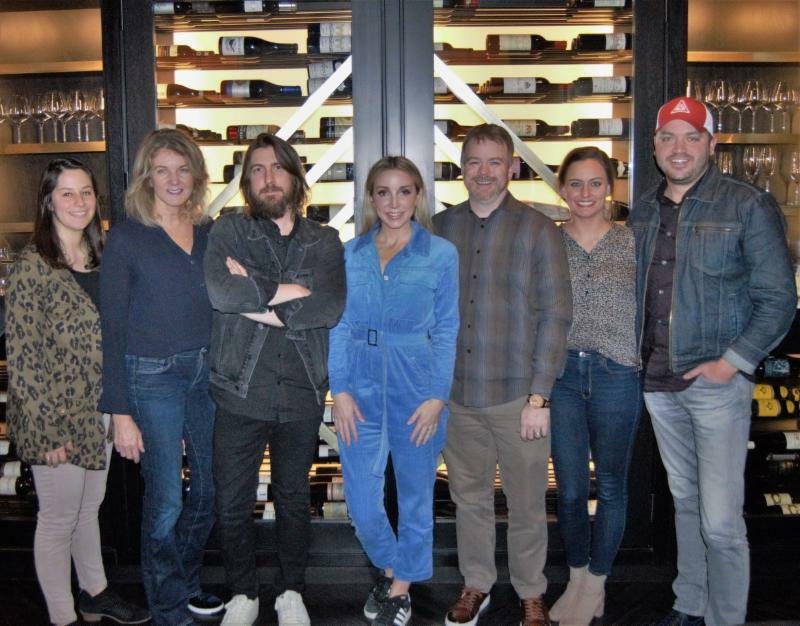 Grammy-nominated singer/songwriter Ashley Monroe has just inked a joint worldwide publishing deal with Low Country Sound and Warner/Chappell Music. In addition to being a solo artist Monroe is a member of the Sony Nashville-signed group Pistol Annies. She's written #1 hits for Jason Aldean (“The Truth”) and Miranda Lambert (“Heart Like Mine”), which were RIAA-certified Platinum and Gold, respectively. Other artists Monroe has penned for include Vince Gill, Carrie Underwood, Norah Jones, Guy Clark and more. Seen above shortly before W/C Nashville chief Ben Vaughn downed seven bottles of Merlot and declared himself a Pistol Annie are (l-r) are Shopkeeper's Justine Avila and Marion Kraft, Low Country Sounds maven/superproducer Dave Cobb, Monroe, Vaughn and W/C's Jessi Vaughn and Travis Carter.